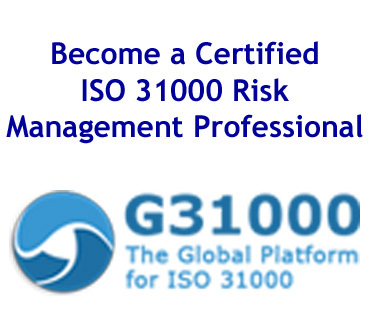 A three-day course, December 9-11, 2014 in Denver, CO, will enable participants to become certified ISO 31000 risk management professionals (Foundations level). This training and exam are based on the ISO 31000 risk management standard which can be used by organizations of any size, any industry, and any sector. Over 60 countries participated in the development of ISO 31000 and over 30 countries have now approved it as their national standard, including the United States in 2011. In this intensive three-day course, participants develop competency in the foundations of the ISO 31000 risk management standard. Based on in-depth teaching, practical exercises and quiz questions that test their aptitude, participants acquire the necessary knowledge and skills to pass the stringent ISO 31000 Risk Management Professional certification exam. Participants will learn the vocabulary, principles, framework and the risk management process proposed in the ISO 31000 standard. To learn more about this course visit http://www.optimalag.com/iso31000.aspx where you can download a full brochure and register for the course. Discounts are available through November 3 so register soon!